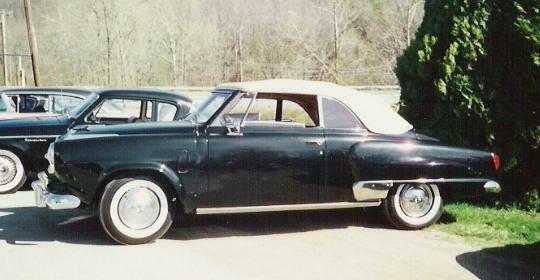 This beautiful 1951 Studebaker Commander Convertible is owned by Chester Bradfield of Bridgewater, Virginia. Chester owns and operates Good Printers which prints Turning Wheels, the Studebaker Drivers Club monthly magazine. 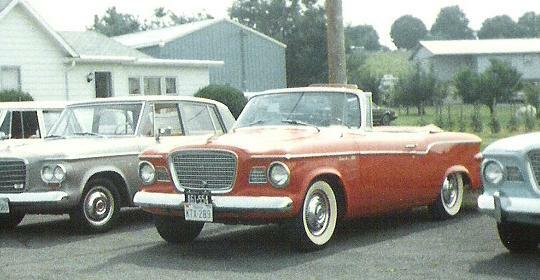 He is also an avid Studebaker collector who owns several Studes and has hosted meetings of the Greater Virginia Chapter of SDC at Good Printers. 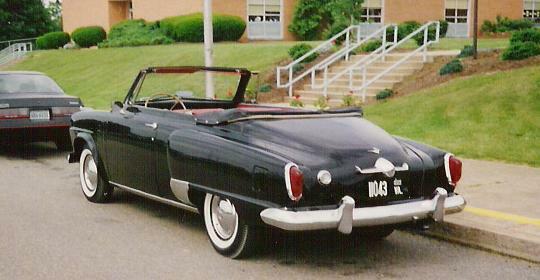 Chester's car is one of only 3,770 Commander Convertibles produced in 1951. 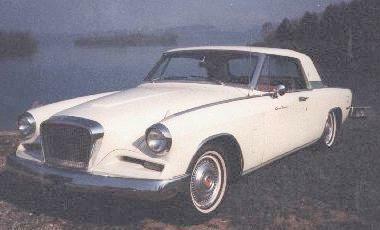 This was the first year for the Studebaker V8 and the last year for the bullet nose design. Chester's Commander has a snappy red leather interior and a three speed with overdrive transmission. The car is immaculate, and looks even better in person than it does in these pictures! 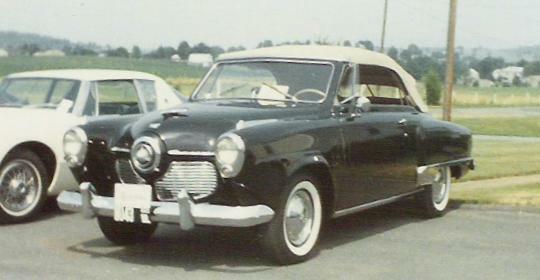 Studebaker did not make any convertibles from 1953 to 1959. 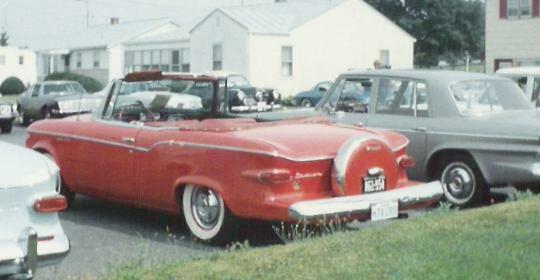 With the success of the compact Lark, a convertible was added to the line for 1960. This fine example belongs to Frank Williams of Elkton, Virginia. Frank's Lark is equipped with the 259 cubic inch V8 and a rare continental kit. If you look hard in the picture below, you can see Chester Bradfield's 1951 Commander Convertible parked across the lot.